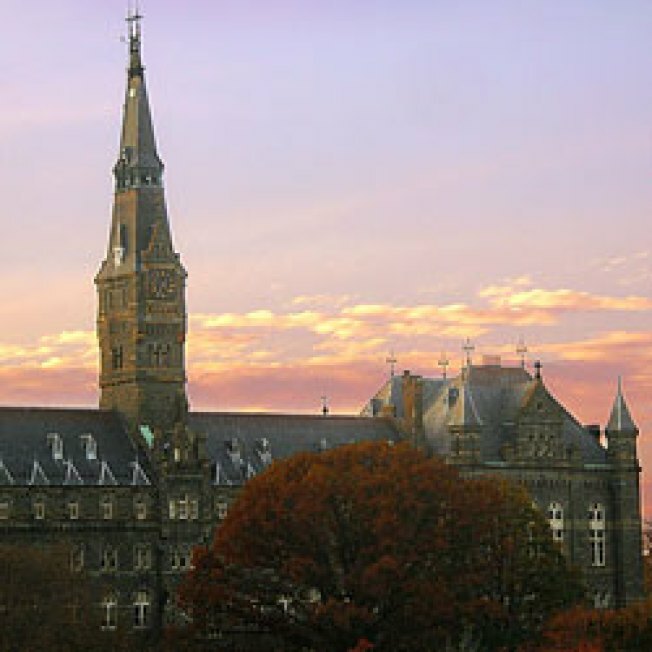 In light of the extraordinary events that have rocked global financial markets this week, I write to express my deepest sympathy and concern for all members of the Georgetown University community impacted by the upheaval. Our thoughts and prayers are with you as the crisis continues and details of remedial efforts are announced. I intend to spend the coming months learning how our friends have been impacted and provide whatever support the University can. On behalf of President DeGioia and our entire Georgetown community, I extend my hopes for a swift recovery and a brighter future. Ew, dude. You're reaching into the recesses of your heart and pulling out your "deepest sympathy" for this? Your "thoughts and prayers" are with the afflicted? Hello. It's not like anyone died. The Georgetown alumni for whom this e-mail is intended probably didn't even lose their homes. Their second homes, maybe.